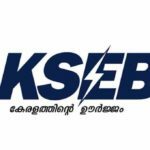 The KSEB has announced a one-time settlement scheme on liberalization to ease tariff of over two years. The beneficiaries of the Revenue Recovery will get benefits from customers who are in the courts in various courts. Under Section 126 of Electricity Act 2003, applicants can also apply for illegal electricity usage. However, the provisions of this Scheme shall not apply to beneficiaries under this Scheme and those who have faced action on electricity theft under Section 135 of Electricity Act 2003. The term of the project is June 1 to September 30, 2018. The dues ranging between two to five years would be 8 per cent instead of 18 per cent and 6 per cent for the duration of 5 years. There is also a provision to pay interest on six equal payments. However, the deductible loan amount will be allowed again for the recipients of 2% additional interest on interest rates. 6-month installment of 12 per cent interest would be allowed to pay some special customers such as government institutions, PSUs etc.. If the demand charge / fixed charge for a maximum of 6 months is given to the stirred connections, they will be given a new connection. This provision applies to closed industries and plantations. Customers in the LT section should submit the application form to the Customers Revenue office of Customers of the relevant Section and Office of the Customer Revenue Officer in HR / EHT, August 31, 2018. All consumers in charge of using electricity charges are required to use this opportunity to withdraw the dues from legal process.